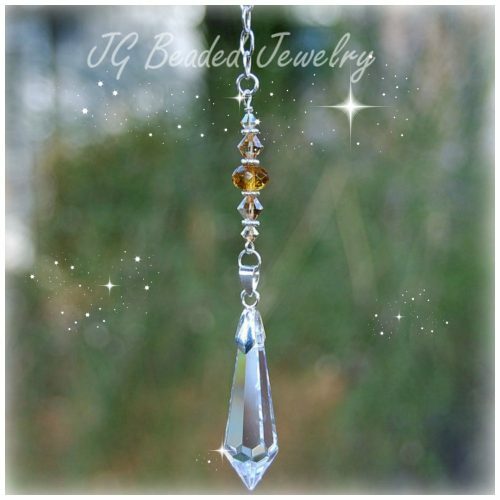 This large hanging prism crystal suncatcher is handcrafted and uniquely designed with a 50mm x 60mm or 40mm x 45mm faceted prism crystal ball that is wire wrapped by hand and embellished with AB Swarovski crystals, clear faceted crystals, fancy silver metal beads, AB blue faceted round crystal in the middle, silver chain and a sturdy ring at the top. The length is 10 inches. 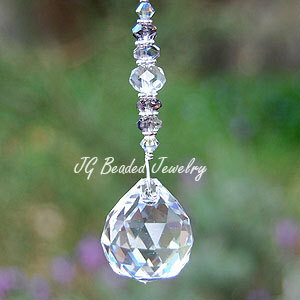 This crystal is heavy and not intended for the rearview mirror. 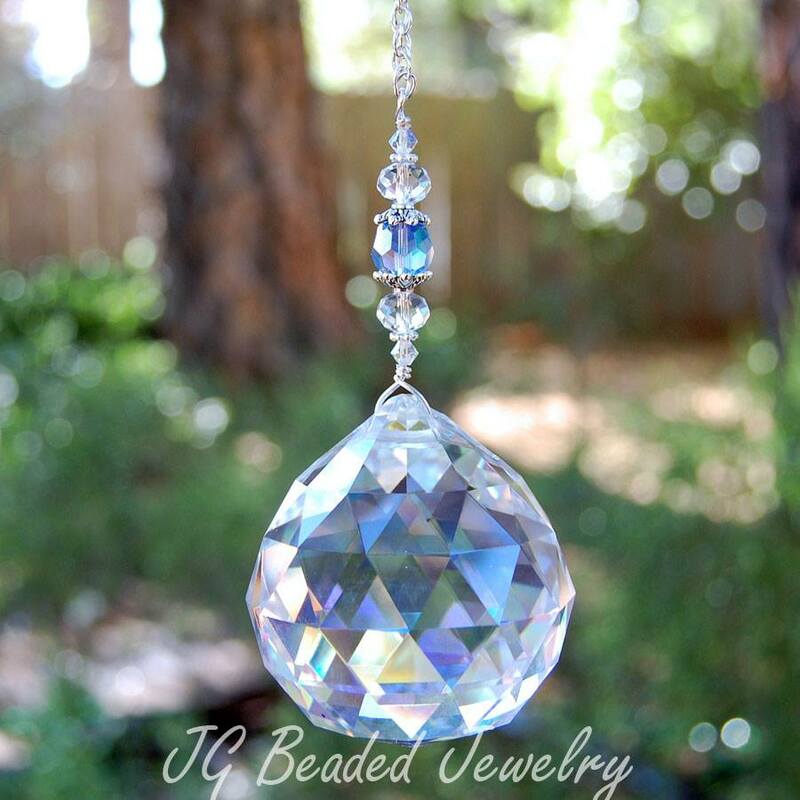 Find more Crystal Suncatchers, Rearview Mirror Decorations, and Light/Fan Pulls!